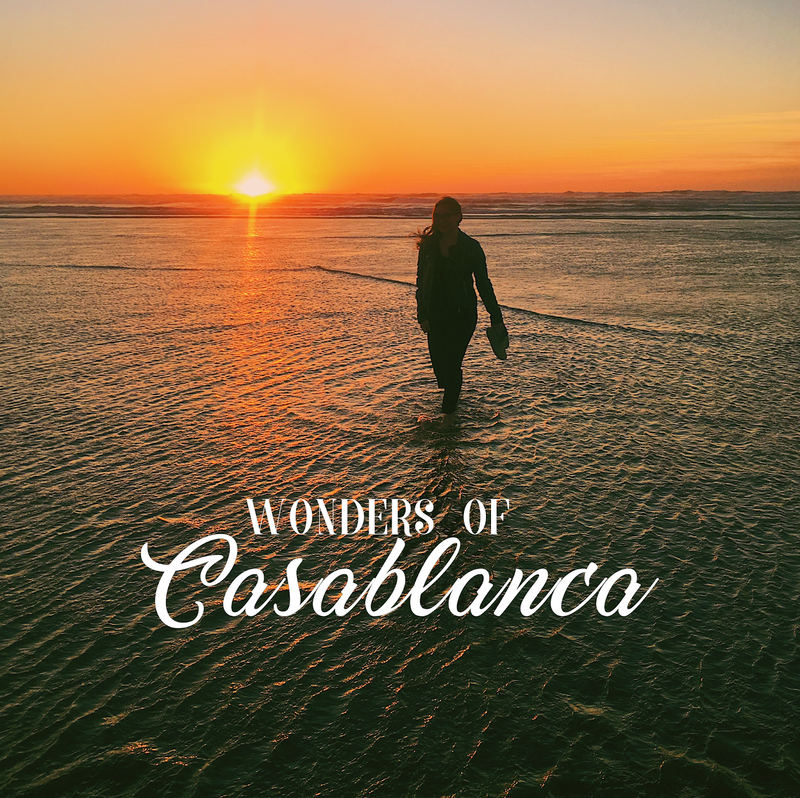 To continue my posts related to my recent trip to Morocco, here you will have my (unfortunately only) 24 hours in Casablanca! After spending the 3rd day's night in Casablanca, in the beautiful Oum Palace Hotel, the morning of the 4th day, we headed to the Medina. We wandered around the Suq, and the atmosphere was completely different from the one you could experience in the touristic and sunny Marrakech. First, as you would probably notice by wandering around the streets of the city, tourists are extremely rare, in particular if compared with the most famous Marrakech. Being a blonde, blue-eyed girl also was a very interesting experience, even if I was walking around all the time with two guys. Everyone will basically stare at you, and the funniest part is that a lot of the people that will do that will be kids. Right after the tour around the Suq in the Medina, we took a cab to see the greatest Mosque of Africa, and the tallest of the World: Hassan II Mosque. So, this building will just leave you speechless. Majestic, incredibly beautiful, overlooking the Atlantic Ocean (half of it is actually built on it) and insanely tall, as you may expect. The architecture and the decors, the colours and the attention for details, the vastity of space in front of it. Everything is just massive and spectacular. Honestly, this is a must for every trip to Morocco. It is actually surprising how young this building is, as it has been completed only in 1993, after only 7 years of construction. Insane. Still stunned from the Mosque, we took another cab (by the way, extremely cheap) to the Morocco Mall, apparently the biggest one of the country. Nothing too special about it, but the view from the drive was very nice, overlooking the Ocean for the whole time. We decided to walk back from the Mall to the city, a very long walk, that actually had the perfect timing to happen during the sunset. We stopped by the Ocean, on the beach, around Ain Diab: and never in my life before it happened to see such a beautiful sunset. The Ocean was melting together with the sky and the sand, with the sun bathing in the restless water. From a distance you could see the entire shore, with a orange haze shading it. Kids were playing football on the beach and we actually saw a camel and a horse passing by. As the end of the day was close and we spent around 2 hours looking for an empty cab to the centre while still walking around, we decided to smoke a shisha in a lovely bar and end the evening by chatting together. I then had to leave early in the morning the day after, and with my heart a bit broken I left the city to land in Milan. I really hope you enjoyed this two posts about my amazing trip, that would have never been that amazing without the incredible company of my friend Haamza and his best friend Ilyas, who showed me around and fed me the whole time with amazing Moroccan food. A post about that one will come soon as well, so stay tuned and please. Visit Morocco.